5. Is cheap car insurance worth it? 9. What makes a good car insurance policy? Companies like Direct Line, Aviva and John Lewis have been rated as the best car insurance providers because they have high scores for customer service and complaints handling from financial services review firms such as Which? and Fairer Finance. To come up with our list of the best car insurance companies we also looked at the quality of the cover. For example, AvivaPlus includes uninsured driver cover as standard and it will replace all glass in your car if it is damaged in an accident. It also allows you to set your own excess between £150 and £1,050. Rather than rate these companies on price (you can use a comparison site like Go Compare to do that), we used expert research into the quality of both the cover and service provided by the different brands. We’ve excluded two high-scoring companies, due to the restrictions placed on the cover they provide. NFU Mutual insurance caters almost exclusively to drivers in rural areas, while Toyota Car Insurance seems to primarily cater for Toyota owners. We also include over 50 car insurance meaning that Age Co, Saga, and RIAS - all of whom focus on the Over 50s - are featured in the Top 10. Check out our detailed reviews at the bottom of the page for more information on the individual providers. Meanwhile, this article will focus on explaining why cheapest isn’t always best when it comes to car insurance, and what you should look out for when choosing an insurer. Car insurance premiums can vary massively depending on factors such as your age, so we've also written a guide to the best insurance for young drivers and a list of the best black box car insurance providers. Find out about car insurance renewals here. We've also written a guide to learner driver insurer. If you're interested in breakdown cover, check out our list of the best breakdown companies. People over 50 years of age get the cheapest average car insurance premiums in the UK (£395) according to Consumer Intelligence. But being over 50 will not instantly guarantee you'd get the cheapest price; your driving record, type of car and postcode will also have an impact. Group 1 and Group 2 cars are the cheapest to insure. So buying a Group 1 car is likely to get you lower insurance premiums than buying a Group 5 car, for example. See our guide to Group 1 cars. Rural postcodes take lower average premiums. The cheapest areas for car insurance in the UK, according to research conducted by MoneySuperMarket are south-west England and the highlands of Scotland. According to the ABI, the current figure for the average costs of car insurance in the whole of the UK is £471. This is based on data from the third quarter of 2018. In October 2018, we ran a quote with two leading comparison sites to find the cheapest car insurance for a Vauxhall Corsa Life - a Group 1 car. The quote was for a 35 year old woman with a clean driving record, living in the South East of England, and the car was a 2008 Vauxhall Corsa, 3 door hatchback, manual, petrol, with an alarm fitted. It cost £2985.00. Go Compare offered the Hastings Essential policy as the cheapest policy option. This cost 348.79 a year, with an Excess of £295. The policy offered Protected No Claims bonus, Personal Accident, courtesy car, key cover and driving abroad. Go Compare did highlight that policy limits do apply. MoneySuperMarket’s car insurance also offered the Hastings Essential policy as the cheapest level of cover. It cost a fraction less at £348.45. The details were the same, with a policy excess of £295, Personal Accident Cover, a courtesy car, key care, and European Use. It also offered Protected No Claim bonus and a range of other features. The MoneySuperMarket's quality score for the policy is 67%. The car insurance quality scores were last updated in January 2018. Some providers offer cheap policies and discounts, but some customers who have bought the cheapest policies have claimed they’ve been hit with extra admin charges and "surprise" fees when they tried to make a claim or changed their car mid-contract. It may be a cliché but you often get what you pay for. Comprehensive policies from big-name companies like John Lewis Finance and Direct Line Car Insurance may have higher premiums, but could be better value (or even cheaper) in the long run by offering a more inclusive cover. For example, LV= comprehensive car insurance cover offers unlimited cover on windscreens, windows, sunroofs and lost keys, plus a no claims discount protection that will allow any number of claims. You may have to pay for these yourself if your policy does not cover them. Additionally, don’t underestimate the importance of a good claims process, which could save you from the stress and anxiety of bad customer service. Research by MoneySavingExpert has found drivers can get the best quote for their cover 21 days before their existing policy ends or renews. This seems to be the sweet spot for people who are shopping around ahead of renewal. Some companies let you lock in a quote 30 to 60 days ahead of your renewal. If you find a good price you could save it and then check again 21 days before renewal and choose the quote that is cheapest. It always pays to shop around and call your insurer to negotiate your price on renewal. Insurers can have a ‘standard’ discount that they will apply if you call them. It also may help if you’ve found cheaper quotes for the same level of cover from other providers, adding weight to your negotiation. Some drivers have also found comprehensive policies are offered to them cheaper than third party cover because the insurer believes they will be less of a risk. Many of the companies on our list of the best car insurers offer online or multi-car discounts, which can lower your premium. Some young drivers may find it's cheaper to get black box car insurance. 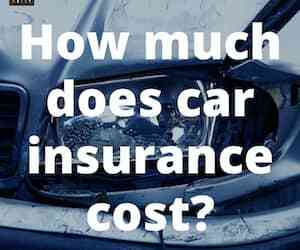 Find out how much the average car insurance policy costs here. The car insurance group your car is in can affect the price of your cover. We've written guides to the cars in group 1 and group 6. With the rise in popularity of comparison sites, many people look for the cheapest price when choosing an insurance provider, believing it to be the best deal. However, that is often not the case. We are not denying that comparison websites such as Go Compare, Confused and Moneysupermarket have brought positive changes for consumers. They’ve created competition between car insurance providers, resulting in prices coming down, and made customer reviews of the different brands more readily available. However, the flip side of this competitive element is that it drove many companies to create cheap car insurance policies with basic levels of cover. Keeping prices low means they end up at the top of comparison websites' lists, but at the expense of the customer, who may be left out of pocket by the policy’s shortcomings. Policies from these car insurance companies are not on comparison sites. What makes a good car insurance policy? The first thing to keep in mind is the level of excess. Some cheaper policies come with a high level of excess, which can be costlier than paying a higher premium. That said, we’ve come up with a way for you to save money by insuring your excess. Windscreen cover, which is offered as standard by many of the providers in our top 10, including John Lewis Finance Car Insurance and AvivaPlus Car Insurance, as part of their comprehensive car insurance cover. Courtesy car – you want to make sure that if anything goes wrong with your vehicle you get a complimentary replacement car until yours is fixed. This is part of the comprehensive policies for many of the companies mentioned in this article, including AA car insurance. Many people assume that if they have comprehensive insurance they are automatically covered to drive other people’s cars, but that is not necessarily the case. Read the terms of your policy carefully to make sure you are insured for driving cars other than your own. Some companies offer what they call Accelerated No Claims. This means you can claim a 12-month no claims discount after only 10 months on the road. However, the catch here is that often this only applies if you stick with the company for another year. For some, this will work out well, but it’s worth doing your research. In most cases, loyalty is not rewarded when it comes to car insurance, so, even with the no claims discount, you may be better off elsewhere. For other motor insurance, check out our guides to van and motorcycle cover. If you're buying a new car you may be interested in our guide to GAP insurance. We've also created a guide to getting a quote for a Tesla electric car. Direct Line – individual multi-car discount; up to 10 cars on one policy. LV=, Direct Line and Churchill offer multi-car discounts but do not state how much you can save. You need to contact them so they can calculate your discount based on your individual circumstances. John Lewis Finance, Age Co, RIAS and Tesco do not appear to offer multi car discounts. There are a number of other providers not in our top 10 that offer discounts, for example, Admiral’s multi-car insurance discount is linked to the number of cars you add and it says 10% of respondents between July 2018 and December 2018, who gave a best alternative price saved £337. The concept of multi-car insurance is pretty simple; insure more than one car with the same insurer to receive a discount. However, there are a few things to consider when selecting a multi-car policy. In fact, the first thing you should do is make sure it will actually save you money because in some cases it can be cheaper to buy individual policies for each car. The level of savings will depend on your personal circumstances but mainly relate to the age and model of the cars being insured and your driving experience. For example, adding an 18-year-old who has just passed his test onto the same policy as a 50-year-old with a nine-year no claims bonus may not result in a saving. It may be better for a new driver to look at companies that specialise in young drivers or black box insurance. Discount - the money off offered for insuring more than one car with an insurer. Sometimes this is a fixed saving or it can be linked to the number of cars you add to the policy. Matched no claims bonus - this part of a multi-car policy allows you to apply the longest no claims bonus of a vehicle being insurers to both cars. Not all companies offer it. It can add extra savings, but check whether the no claims bonus of both cars will be affected if either car is involved in an accident. Separate claims records - a multi-car policy with a separate claims record ensures that if a car is involved in an accident it will only be logged on that vehicle’s record. That means it won’t impact the no claims bonus of the other car on the policy. There are a couple of other important factors that may influence your decision. First, whether you can set different cover or excess levels for each car on the policy. If all the drivers are a similar age and drive comparable models it may not be much of an issue for you, but flexibility may be desirable for some households. You will also want to look at how insurers approach different policy start dates. It may be the case that one person already has a policy with a company and wants to add another car to receive the multi-car discount. But what happens if there is a four-month gap in when the policies renew? Some firms insist that all cars have the same policy start date, while others allow separate start dates. If you need to have the same start date, check if your provider (especially if it’s the same company you’re starting a multi-car policy with) will provide a refund for any of the current policy you are not going to use. And make sure you never have any gaps in cover. Be sure to check any caveats to multi-car policies. For example, AvivaPlus says that customers can save up to 20% on car insurance with multicar. However, you can’t receive it on optional extras. All three are rated 5 Star by independent financial review service Defaqto and receive high product and customer scores from Fairer Finance. Try these providers for specialist cover, but you should be able to get quotes from all the providers in our top 10. There are a number of other companies not in our top 10 that offer UK car insurance for over 50s. Both 50Plus Insurance (owned by Bluefin insurance) and the Post Office have over-50s policies. It’s difficult to say one insurer is the best for over-50s because your quote will depend on factors such as the model of car you drive, where you live and your claims history. However, the good news is that drivers who are over 50 should get affordable car insurance quotes wherever they get cover. Insurers base their premiums on driving experience, which over 50s are likely to have a lot of. If you have built up a long no claims bonus you’re in a good position to get one of the top car insurance rates. And even though over 50s have seen an increase in car insurance premiums, the average car insurance quote for a 51 year-old in the South East of England is around £677 a year, according to Confused.com. For over 60s it’s even better, the average quote for a 68 year old is about £544. This is based on Confused.com’s Car Insurance Price Index in Q4 of 2018. If you drive a more expensive car it may be higher than that but don’t forget that 21 year-olds pay around £1,599 on average according to the Confused.com Car insurance Price Index, so you’re in a preferable position. For those aged 70 and above prices may start to creep back up and you’ll also need to renew your licence every three years. Don’t forget to update it with any medical conditions that have occurred since the last time you renewed it. LV= seems to offer competitive prices for drivers over 80. More Than doesn't have an upper age limit either. When you get a quote make sure you have details relating to your driving history (including your no claims discount), the make and model of your car and any additional drivers or cars you’d like to add to a policy. Don’t be afraid to negotiate a cheaper price and make sure you shop around. If you've been diagnosed with dementia we've written a guide to car insurance for people with dementia. Other companies that scored well or didn’t have many reviews include Insurefor and Insurance4carhire. Big Blue were also listed on Moneymaxim but we could not find enough online reviews for them. Excess insurance for hire cars is one way to keep costs down when renting a vehicle in the UK or abroad. When you hire a car it will usually come with insurance, however, the excess payment you have to cover if you need to claim can be substantial. The excess on hire cars can range from about £500 to £1,000 and the hire companies may try to charge you hundreds for pounds of that excess for as little as a scratch. Car rental companies often offer excess cover over the counter but they can charge over the odds and there are third-party insurers that provide much better value. If you cover the excess it means an insurance company will pay the excess bill if you have an accident. Using a third-party company to cover the excess can save more than £100, even for short trips. You can buy these policies in the UK for car hire here, in Europe or the USA. If you buy from one of these companies, you pay the car hire firm's excess if you crash and then claim the money back from your insurer. When you get to the car hire desk to pick up your car you’ll often have to put a "pre-authorised" amount on a credit card, which will cover the excess in the event of a crash. If you don’t have any accidents your card won’t be charged or it will be refunded. Although this can be a pain, it's still cheaper than paying for the hire companies excess policy, which is often called "super CDW (collision damage waiver ) insurance". Excess cover can be bought for a single trip or as an annual policy. Annual European excess cover can start at under £50, so if you’re hiring a car a few times in a year it may offer good value. Single-trip excess cover can start from under £20. To find some of the best car hire excess providers we looked at customer reviews of companies listed by car hire excess comparison site Moneymaxim. As with any insurance policy, you should shop around to get the best deal. And if you do buy excess cover from a third party, don’t let the car hire firm sell you a policy you don’t need when you get to their desk. Which companies offer temporary car insurance? Our list of the best car insurance companies helps you compare quality policies and get a quote. Many of the top companies also offer temporary car cover. The AA offers short-term car cover through Tempcover's site. Admiral offers sharing car insurance for up to 30 days through Veygo. Be aware that some well-known providers may only offer temporary cover to existing members. A few big companies such as AXA and Tesco do not appear to offer temporary insurance. Cuvva is an app that allows you to get immediate cover from 1 hour to a whole day. The app is available on Android and iOS and it has good reviews online. You have to be over 21 to use it and it’s designed for borrowing a car from a friend or family member. How does temporary car insurance work? Temporary car insurance offers cover for between 1 and 28 days. Some companies even offer insurance for a set number of hours if you only need cover for a very short period. It can be used for you to drive someone else’s car or for another person to use your vehicle. There are many reasons people use temporary insurance but popular uses include for moving house, sharing a road trip or long drive, borrowing a friend’s car, adding a son or daughter to a policy while they’re back from university or driving a new car off a forecourt. In some cases, it makes more sense to buy temporary insurance than to add a named driver to an existing 12-month policy. However, a short-term policy cannot be used to replace a full car insurance policy, even if you only use your vehicle a couple of times a year. It is illegal to keep a car that is not insured or registered with the DVLA as off the road. You shouldn’t need it for hire or rental cars because they usually come with insurance. Read more about how you can save money with excess cover for hire cars here. What does temporary car insurance cover? Most short-term car insurance policies offer similar cover to longer-term insurance. Temporary policies are usually comprehensive but companies do offer third party, fire and theft. The cover is often immediate so you can buy it on the same day you need it and any claims should not affect the no claims bonus of the vehicle being driven. Because the cover is immediate it means it can be used for test driving a car or driving a vehicle home if you decide to buy it at a dealership. Many temporary policies allow business use and cover vans up to a certain size. Some policies include European cover or give you the option to pay more for it. So it’s possible to have short-term cover if you’re borrowing a car to drive to France, for example. There are a few exclusions. Many temporary car insurance policies have an upper age limit of 75 and the lower age limit can vary. For some companies, it starts at 21, which makes it difficult for young drivers to get short-term cover. However, The AA’s lower age limit starts at 18 and InsureDaily covers drivers from 19 to 75 years old. There are separate short-term policies for learner drivers (often 30, 60 or 90 days) offered by companies like Marmalade. Find out more about learner driver insurance here. If you have points on your licence or motoring convictions it can make it difficult to get temporary cover. Also, some providers will not cover non-UK licences so you should shop around and compare cover levels if you’re planning on letting a visitor to the UK or an expat with a foreign licence use your car. How much is temporary car insurance? As with most car insurance, the cost of temporary car cover will depend on a number of factors, such as how old you are, the car being driven and where you live. Because the cover is only for short periods it shouldn’t cost too much. Cuvva’s prices for certain cars start under £10 for a few hours of cover. Quotes for longer periods with other providers can be well under £100. It’s always worth shopping around to compare prices and cover limits to see if you can find cheap temporary insurance. If you think the short-term quotes you receive cost too much you could look at other options, such as adding a named driver to an existing policy. It will mean another driver can use the car anytime they want, so it may save you money over a year if you’re considering using temporary insurance more than once. 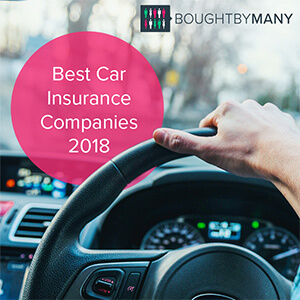 These are the companies from our Best car insurance list that were offering insurance for business use, as well as social, domestic, pleasure and commuting, when we obtained quotes in October 2018.
Business use is defined as driving to multiple locations as part of your work day, but your vehicle should not be a part of your work. You can only buy cover for personal business car insurance over the phone with Direct Line. AvivaPlus Car Insurance - Aviva provide you with two policy options for adding business use car insurance to your policy. You can either cover yourself, your spouse or domestic partner to drive to multiple places of work in a day, plus social, domestic, pleasure and commuting. Or you can also include the above and other named drivers, which can include employees. Business use, as part of personal car insurance, is intended for people who drive to multiple locations as part of their work day. It is not intended for people who use their car or van as part of their work day. For example a delivery driver. For this you would require a Commercial (business) car insurance policy. You will normally need to visit the business insurance section of an insurers site to purchase this cover. To add business car insurance to your quote simply select the relevant car usage, which forms part of the quote process. For example: Social, domestic, pleasure and business use. If you are an existing customer, then you may need to contact your insurer to update your policy. We spoke to Aviva to confirm their process, and they advised they would simply adjust your existing policy to include business use. Aviva advised there may be a small price difference, but this would be confirmed when you changed your policy type. There would be no admin fee, as the service isn’t available online. Aviva advised that if you wanted a colleague to also be able to drive your car, then they would need to be added to the policy as a named driver. This was correct in October of 2018. How much does moped insurance cost? See the average car insurance premium in the UK for the year and the factors that might be affecting your price. We've reviewed independent expert sources to come up with candidates for the accolade Best Young Drivers Insurance 2019.